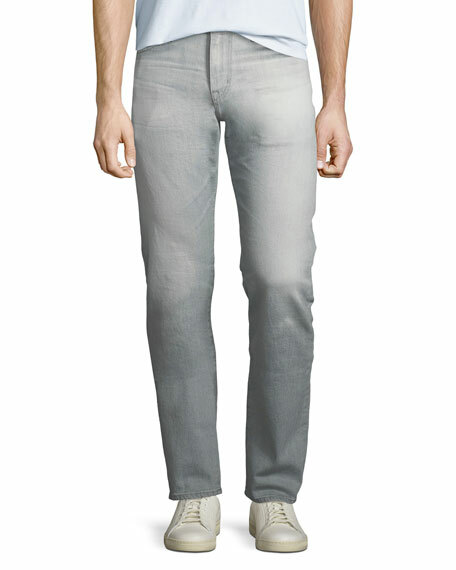 AG "The Graduate" jeans in 13-ounce denim. 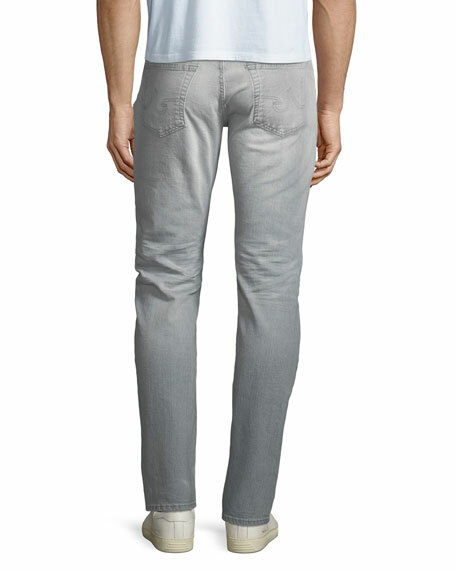 Relaxed waist; tailored leg tapers to hem. 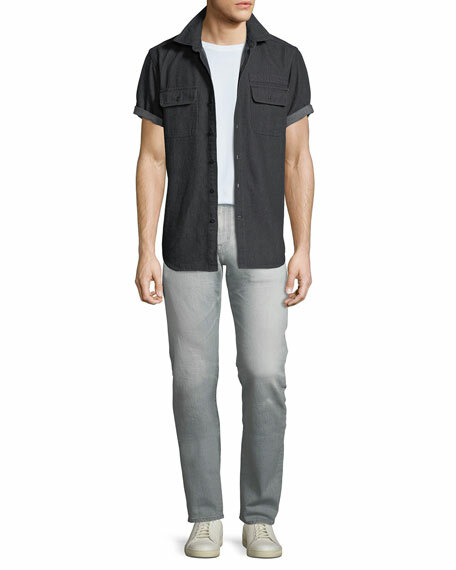 For in-store inquiries, use sku #2044757.